PRICE REDUCED...MOTIVATED SELLER!!! Back on the Market, buyer changed their mind. 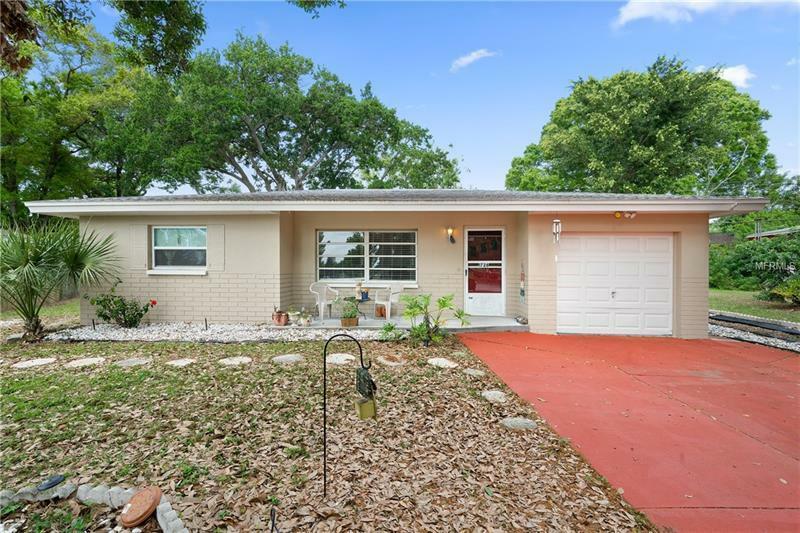 This 2 bedroom/1.5 Bath/1 Car garage home also features a Florida room off the kitchen that opens to the large private back yard with a firepit and a wooden deck with a gazebo, perfect for relaxing in this tropical yard. There is plenty of room in the yard to add a pool or park your RV/boat and the property has 2 RV hookups. Off the Florida room is a small screened in porch area where you can sit, relax or enjoy dinner on a cool night. AC is approximately 4 years old, roof is approximately 11 years old and the electrical has also been updated. The property is centrally located and walking distance to Eagle Lake Park and just minutes to the beaches, shopping, and an easy commute to Tampa Intl. Airport. Make an appt. today. All information deemed reliable; buyer to verify.